Come back in time with us 47 years. 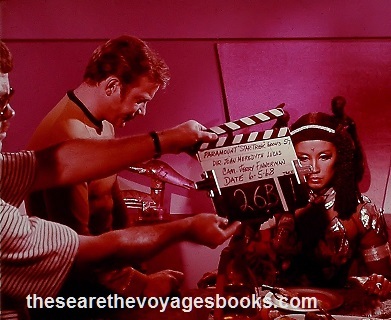 Guest star, France Nuyen comes on mighty strong tonight with her performance as a high priestess of a planet. She is being transported by the Enterprise to another planet where she will be married off as a peace gesture. But she has two things going for her -- her aggressive arrogance and a strange set of tear ducts which manufacture tears that can enslave men like Captain Kirk. See all the ratings, all the reviews, all the stories behind the writing and making of all the episodes and then some! And get your autographed copy here for the best price anywhere!